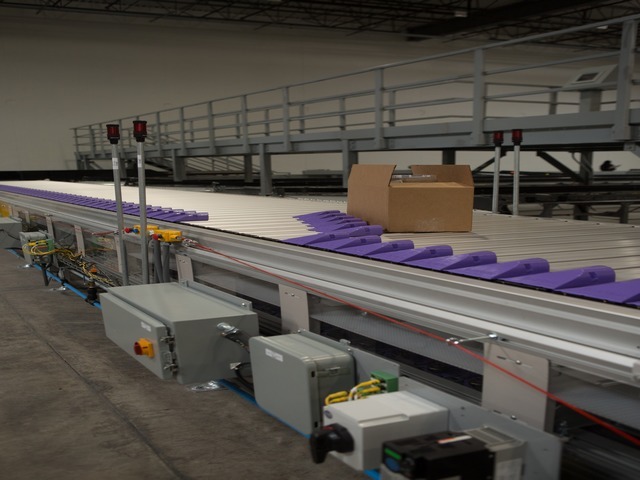 Sortation - Warehouse and Distribution - Automatic Systems, Inc.
Sortation is the process of distributing products, either by piece, case, totes, poly bags, or baggage to specific chutes (destination) for a more efficient means of packing, routing, or shipping. 1) Manually: an operator places an item directly on the tray or belt. 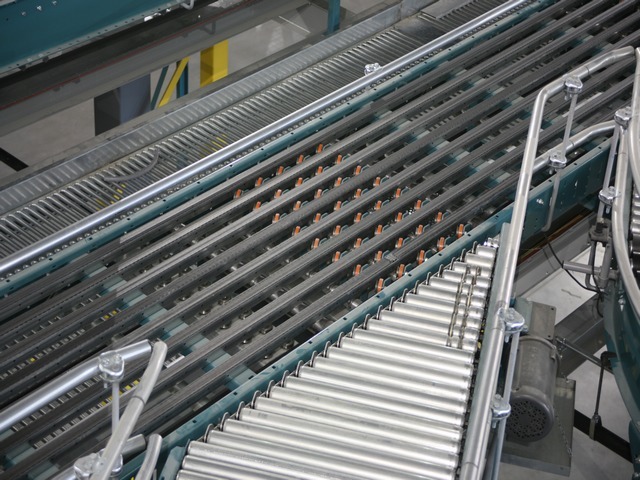 2) Semi-automatic: an operator puts an item on an induction line that feeds a Tilt Tray, Belt Tray or Electric Tilt sorter. 3) Automatically: an induction unit or conveyor belt places the item on the unit. There are a number of different types of sortation technologies. Contact ASI so we can help you identify the correct sortation technology for your facility. Tilt Tray: Usually a mechanical tilting, wood or plastic tray system that can discharge to both sides of the system. 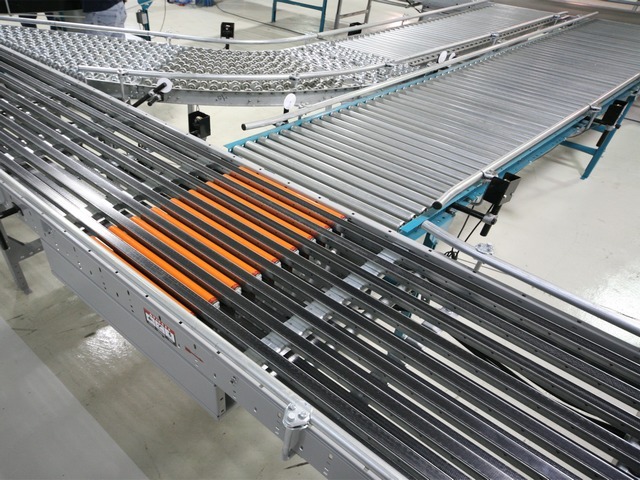 Belt Tray: Motorized belt discharges the product perpendicular to the unit’s travel, discharge to both sides of the system. E-Tilt: Motor driven tilting, usually with a wood tray, discharge to both sides of the system. Bombay: Typically, a metal tray that opens like the doors on an airplane, discharge is below the trays. Sliding Shoe: Continuous linked slats with a shoe on one side that slides across the slat to discharge the item into its destination. Narrow Belt: Pop up rollers, Various Angle Transfers, Flexible Sort Points. Speed – Moving product quickly through the system. Order Picking – Moving products from storage to picking areas. Sorting – Moving products to their correct destination. With increasing cost for labor, demands for faster and accurate order shipment, talk to ASI today to see how a Sortation system can fit into your material handling solution.